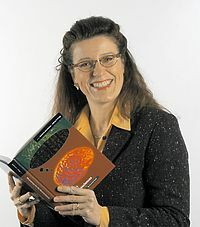 Elke Guenther is Head of the Department of Cell Biology at the NMI Natural and Medical Sciences Institute at the University Tübingen and Head of Pharmaservices ath the NMI TT GmbH. Expansion and differentiation of neural progenitors derived from the human adult enteric nervous system. New cell models and assays in cardiac safety profiling. Identification of P2Y receptor subtypes in human Müller glial cells by physiology, single cell RT-PCR, and immunohistochemistry. Invest. Ophthalmol. Vis. Sci., 46:3000-3007. Developmental plasticity of NMDA receptor function in the retina and the influence of light. ATP-induced cell permeabilization in the inner retina. Effects of brain-derived neurotrophic factor on cell survival, differentiation and patterning of neuronal connections and Muller glia cells in the developing retina. Europ. J. Neurosci., 19, 1475-1484. Serum and glucocorticoid inducible kinase SGK1 colocalizes in the retina with and in vitro stimulates the glutamate transporter EAAT3. Invest. Ophthalmol. Vis. Sci., 45:1442-1449. Functional re-establishment of the perforant pathway in organotypic co-cultures on microelectrode arrays. Electrophysiological properties of rat retinal Müller (glial) cells in postnatally developing and in pathologically altered retinae.